Yet another contest entry for another one of *jkcafe's character contests, but this time, Crackle receives the spotlight. Speaking of spotlight, I tried so hard finding effects on shading and lighting on GIMP, but it turned out like this. 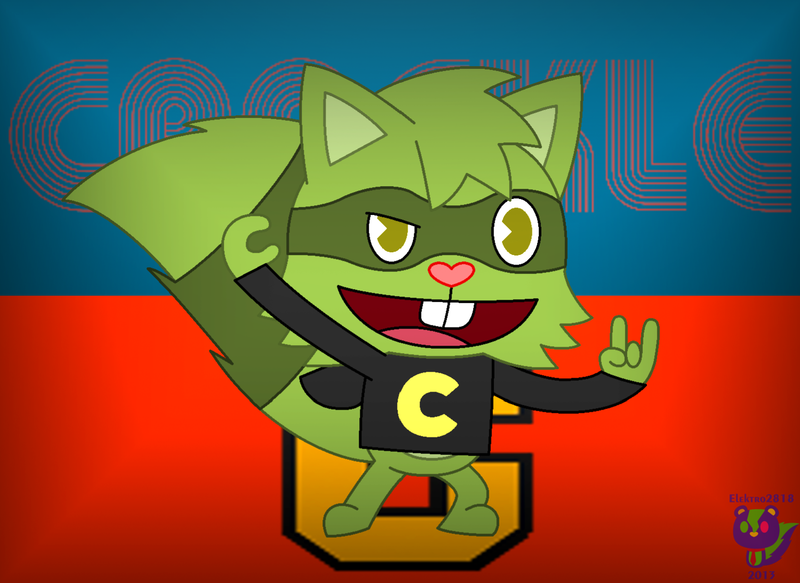 We all know Crackle starts with the letter C, but not only the "C" is on his hoodie, but one of his hands is signaling the letter C and the floor has a big C on it. His name is also seen in the background, but it may appear quite faint, so you might need to see the picture in full view in order to see his name more clearly. Also, this cool raccoon is quite fun to draw, specially in a pose like this. Well, I hope his owner would like this contest entry.